Only by Nina Fitzgerald is finally here! We are so proud to announce that our very own Nina Fitzgerald has launched her own product. Click here to buy! It's the most essential conditioner that you will ever use. Primarily it can be used scalp to ends for healthy, lightweight and shiny hair, and may also be used as a mask, if left on longer. 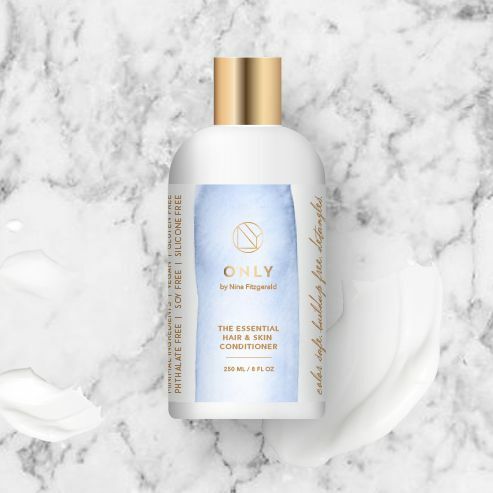 Our conditioner is safe for the whole family, and only has 7 ingredients, something that is not touted by any other conditioner! It is safe, and non-toxic and has a aroma that will remind you of standing on a seaside cliff, while breathing in the fresh air. Our products are always free of petrochemicals and synthetic dyes.